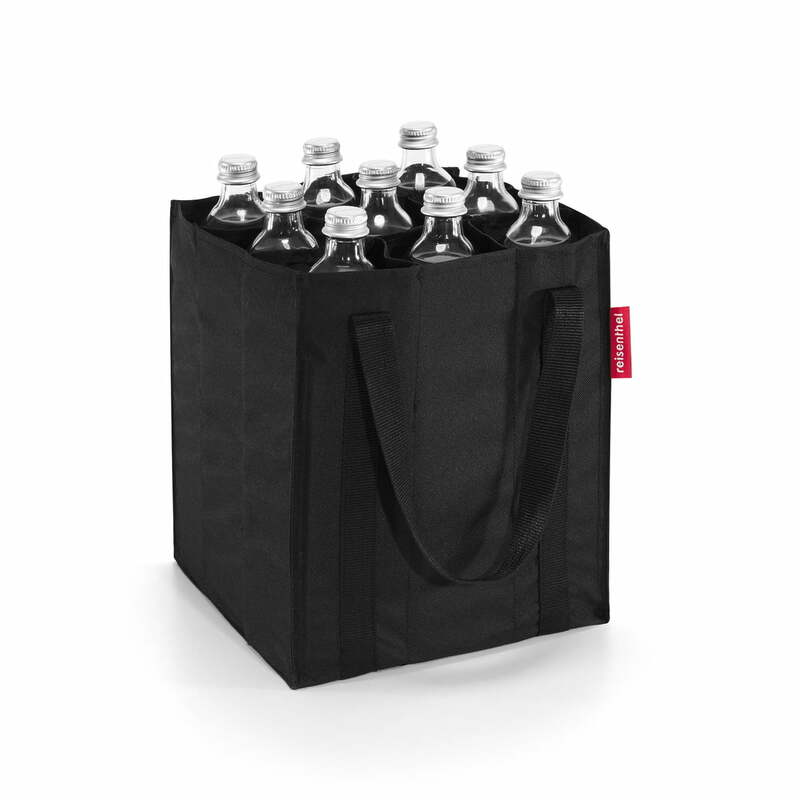 This bag can carry nine bottles 0.75 litre bottles individually and protected from knocks, safely and comfortably. The manufacturer reisenthel has adapted the bottom dimensions to fit conventional bicycle baskets. Two tear-resistant straps with Velcro fastening ensure further comfort when carrying it. The compact design is an original from reisenthel and reliably and comfortably does its protection job by means of the high quality polyester fabric. 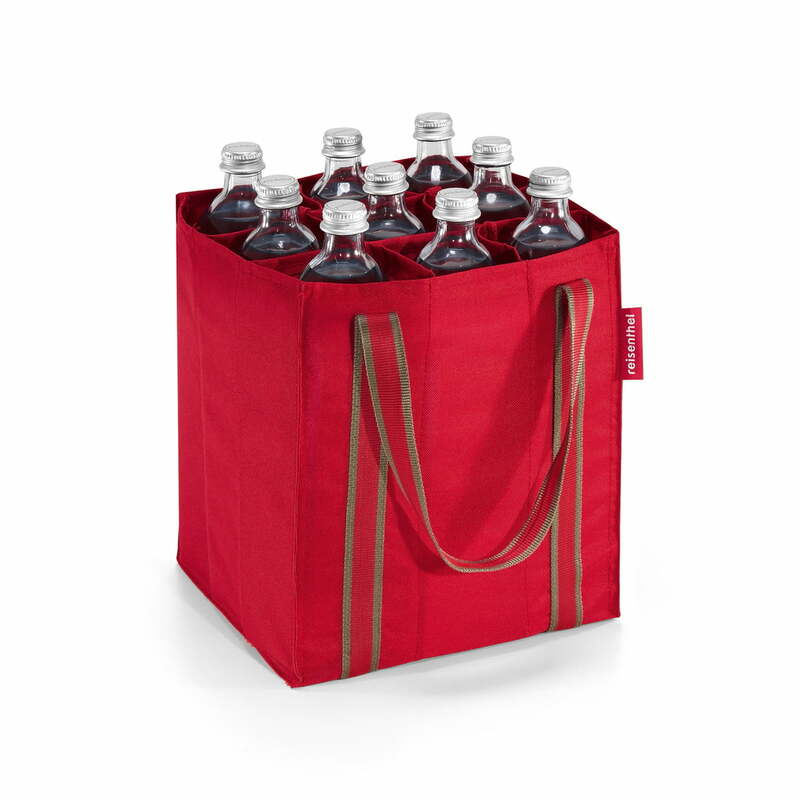 The bottlebag by reisenthel holds your drinks and safely carries full and empty bottles from one place to another. The durable material is water resistant and foldable, when the bag is not being used it is easy to stow away. The bag is suitable for carrying empty bottles on the bicycle, car or even for walking a short distance with them. The fashionable design is a more stylish alternative to traditional drinks crates and looks good as storage in the living room as well. Single image of the reisenthel - neoprene bottle in red. The high quality polyester fabric is water resistant and hard-wearing. Transporting in the bike basket when it is windy won’t harm the bag.